Former world record holder Patrick Makau (Kenya) ran 2:08:22 to win the Dec. 7 Fukuoka International Marathon, the first domestic selection race for the Japanese team for next August's Beijing World Championships. 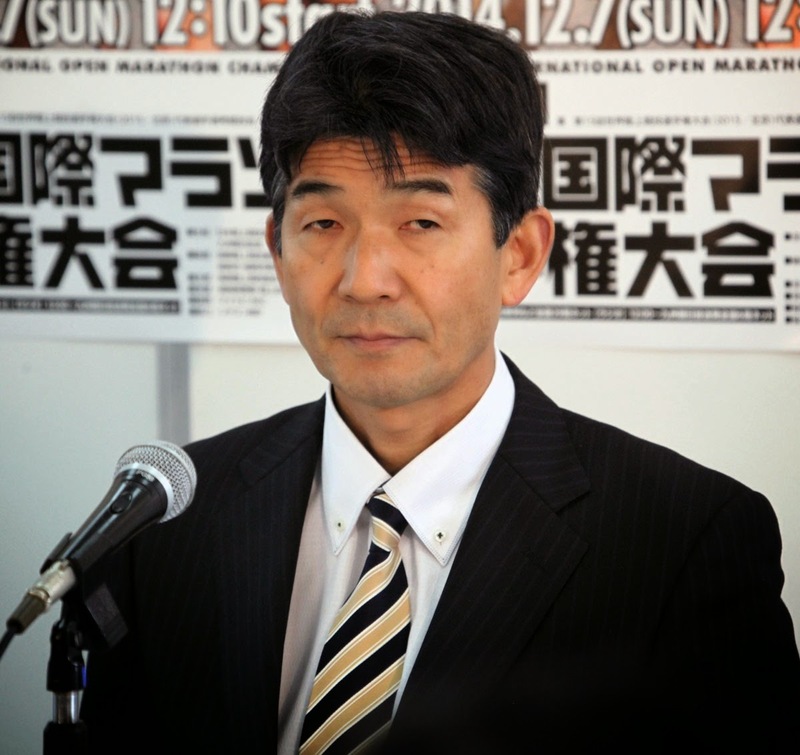 Japanese Federation executives who set the Beijing qualification standard at sub-2:06:30, a time only one Japanese man has ever run, were quick to express their disappointment at the 2:09:06 4th-place finish by 33-year-old Masakazu Fujiwara (Team Honda) being the top Japanese placing. Executive Director Mitsugi Ogata, 55, expressed concern about the lead-up to the Rio de Janeiro Olympics in two years and beyond to the 2020 Tokyo Olympics, saying, "We must cultivate true star athletes. We've still got a harsh road ahead of us." Ogata praised 3rd place finisher Ser-Od Bat-Ochir (Mongolia/Team NTN), 4th at October's Asian Games marathon, for mixing it up with the Africans. "He just kept attacking. I'd like to see aggressive athletes like that appear here too." 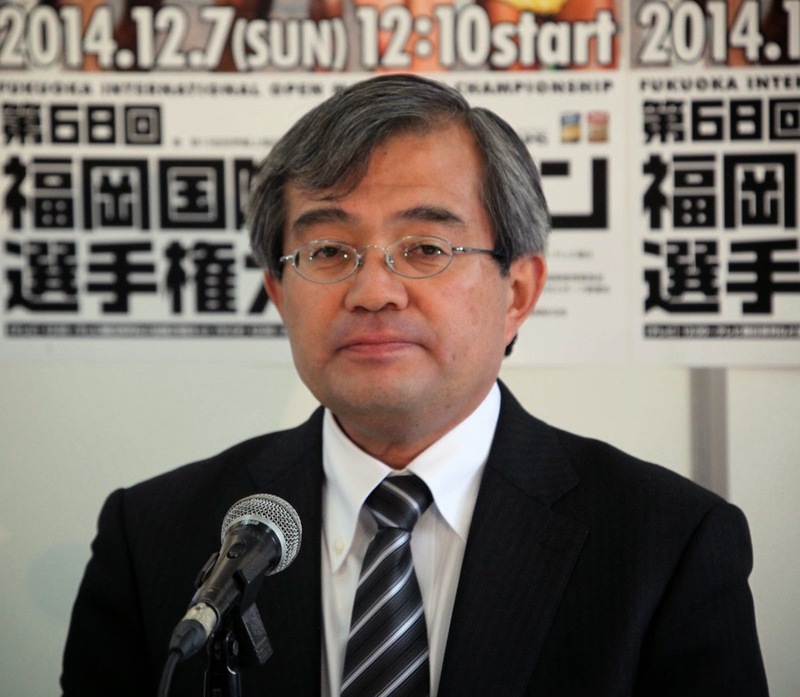 Development Committee Director Katsumi Sakai, 54, seethed with chagrin as he commented, "If they don't change their way of thinking they'll never be able to compete with the rest of the world. I'm utterly disappointed." The poor showing by Kentaro Nakamoto (32, Team Yasukawa Denki) was another blow to the National Team program Sakai helped establish in April. Men's Marathoning Director Takeshi Soh, 61, expressed a sense of crisis that the next generation did not rise to the challenge as he said, "I think today was a shame. I expected to see our young athletes make a breakthrough." He urged the country's best young athletes to make their marathon debuts early, saying, "If our current university runners move to the marathon when they're at their peak speed it will improve our overall level." IF the Japanese athletes keep doing the same training in the same locations, they will stay at the 2:08-2:09 level forever. You cannot expect to do the same training with the same training partners in the same training venues and expect to improve. Occaisionally they'll have an outlier like Takaoka, but if they want to compete against the top Kenyans and Ethiopians, then why don't they go there and live with them and train alongside them? 2H06'30 it is really unrealistic indeed only athletes of Ethiopia and Kenya realized superior performances this year.